Dolby Atmos: What is it? How can you get it? What speakers do you need? | What Hi-Fi? Dolby Atmos: What is it? How can you get it? What speakers do you need? Making its way from film sets and post-production suites all the way into living rooms, Dolby's Atmos surround-sound technology has quickly become one of the most important technologies in home cinema. Over the past few years, Dolby Atmos has firmly transitioned from the "future of home cinema audio" to very much the here and now. That’s not only thanks to the immersive surround-sound technology gaining traction in Hollywood, but also its support throughout the chain - it runs from from content creation and hardware to device support. While it's still not universally part and parcel of the cinema experience in the UK, the good news is you can now have the Atmos experience at home, whether that’s through an Atmos-enabled AV receiver and speaker package, a soundbar or even a pair of headphones. But what exactly is Dolby Atmos? And what do you need to get involved? Allow us to explain. Dolby Atmos is, at least according to Dolby, "the most significant development in cinema audio since surround-sound." And we'd have to agree, really, whilst recognizing DTS:X (a similar object-based surround technology) is also making headway. Atmos is a surround-sound technology that was originally developed in 2012. It expands upon the current 5.1 and 7.1 surround-sound set-ups with surround channels coming from overhead. Speakers have been placed along walls (at all heights) and even behind the screen itself, but the crucial point about Atmos is that you can place speakers in the ceiling, enveloping the audience in a dome of sound. Up to 400 speakers can be used in the top Dolby Atmos cinemas, but in a domestic environment it's unlikely you'll have the room (or the will) to house such a speaker count. Instead, there are a number of simpler options: the addition of two or four ceiling speakers in your system; installing add-on speaker modules on top of your existing main floorstanding or bookshelf front left/right speakers (one set, for a .2 configuration) or your left/right front and rear/surround speakers (two sets, for a .4 configuration); or the purchase of a purpose-built Atmos speaker system. When a Dolby Atmos system is installed, the room receives a complete calibration, allowing sound mixers to precisely ‘place’ sounds and voices at exact points in the soundfield rather than just to specific channels. Each speaker in an Atmos system has its own discrete feed, enabling new front-, surround- and ceiling-mounted height channels. Given that a cinema-style installation isn't a practical solution for most people, AV manufacturers have stepped in to make it realistic in the domestic situation - and even, in some cases, affordable. And you have options. The golden path starts with a compatible AV receiver with the ability to decode an Atmos soundtrack. Most receivers that have come to market in the past couple of years support the format – even at the budget end – including, of course, all our 2018 Award-winners. The best news: domestic arguments aren’t necessary, as you don't have to make holes in your ceiling for installing in-ceiling speakers. Atmos speaker packages often incorporate upward-firing drivers into their front speakers - so that sound is reflected off the ceiling and towards your listening position to create a pseudo-overhead effect. Pioneer was one of the first out of the blocks with a complete Atmos speaker package, the S-73A, in 2014 - and it's since been joined by the likes of Klipsch, Focal and Jamo . There's even a wireless Atmos speaker system, thanks to Damson's S-Series (although it's not quite along the lines of the packages mentioned above!). Atmos can also work with existing home cinema systems. Dolby Atmos-enabled speaker modules are available - when placed on top of your speakers, they allow your system to deliver Dolby Atmos sound from a compatible AV receiver. KEF is one such brand, with its R50, Q50a and R8a modules. The modules aren't limited to being used with KEF speakers - it can be placed on top of any speakers you already own. AV Industry brands Elipson, Tangent and Eltax have all announced new, budget (from £150) Atmos modules too. Dedicated Atmos speaker packages are still in relatively short supply, though, which brings us to Option Two: Atmos soundbars. They tend to use upward-firing drivers to disperse sound overhead. So far, only the big-bucks Sony's HT-ST5000 (a 2018 Award winner, no less) has seriously impressed, although special mention should go to the LG SK10Y. We're also looking forward to Sennheiser's upcoming AMBEO soundbar and Sony's new HT-X8500 Dolby Atmos soundbar, which was announced at CES 2019. Other manufacturers aren't so sure, with Sonos saying Atmos doesn't make sense on its compact Beam soundbar. As for Blu-ray players, Dolby says you don't need a brand new player to support Atmos, just as long as your player fully conforms to the latest specifications and can output a bitstream audio signal for your AV receiver to decode. LG introduced Dolby Atmos support to its OLED TVs in 2017. It's not quite the same as having a room full of speakers and the TV's can't fire audio overhead, but LG claims the general quality of audio is still an improvement over a standard stereo signal. At CES 2019, Panasonic introduced its GZ2000 4K OLED TV which does have its own upward-firing Dolby Atmos speakers built into the rear of the set. First impressions were positive so we're hoping this will set a new standard for Dolby Atmos in TVs. Plenty of films have now been produced in Dolby Atmos, the first of which was Disney Pixar’s Brave back in 2012. That list has expanded six-hundred-fold (and the rest). Yes, really. And many have made their way to Ultra HD 4K Blu-ray, too. With all major Hollywood studios now supporting the disc (Disney was the last), the title count is now well into three figures, with the likes of Blade Runner 2049, John Wick: Chapter 2, The Greatest Showman, Jack Reacher: Never Go Back and Guardians Of The Galaxy Vol.2 among the latest releases. There are currently over 40 cinemas in the UK and Ireland that are fitted with Dolby Atmos technology (including the Empire Leicester Square in London) and over 2,700 screens worldwide. You can see a full list of Dolby Atmos cinemas on the Dolby website. Dolby and Odeon have also opened the first Dolby Cinema in the UK. Situated in the newly named Odeon Luxe Leicester Square, sits a brand new 800-seat auditorium, which features no fewer than 400 Dolby Atmos speakers and 'spectacular Dolby Vision technology'. Pricing starts at around £10 per ticket, rising to £40 for the best seats in the house. Aside from the disc, the choice where movies are concerned is limited to the Netflix app, which is so far only supported by certain LG TV ranges and Microsoft's Xbox One X, Xbox One and Xbox One S games consoles. The choice on Netflix is a little limited but there ara a few titles, including Bird Box, Lost in Space, and Marvel's Jessica Jones available in the codec. 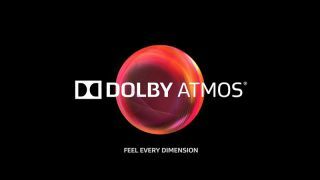 Dolby Atmos is also now available, via Sky Cinema and the Sky Store, to owners of a Sky Q 2TB box and relevant subscription package. And Rakuten is another film rental service providing Atmos content - albeit only to certain LG 4K TVs. The Apple TV 4K added support for Atmos back in September. According to Apple, iTunes is set to become home to ‘the largest collection of Dolby Atmos-supported movies anywhere’. Away from films, live sports (mostly football) broadcasts are available to subscribers of BT's top-tier Total Entertainment package or Sky Q, and a number of PC and console titles including Gears of War 4, Battlefield 1 and Shadow of the Tomb Raider support Atmos for gaming. Dolby Atmos works on tablets like the Amazon Kindle Fire HDX 8.9 (and two Lenovo models) via connected headphones, though it won't be quite as immersive as with a soundbar or surround-sound system. Atmos on a tablet works through 'binaural headphone rendering' and 'object-based audio’. Binaural headphone rendering creates surround sound through headphones via heat-related transfer functions (HRTFs). To explain how this works, Dolby gives an example of a car honking its horn - if it honks to your right, your right ear gets the full blast, while the left ear gets a less intense sound because the sound has to travel around your head. The brain recognises the differences, telling you to look to your right to see if the car is near you. Dolby has reversed this process to create virtual surround sound from the single speakers in headphones, producing the effect that sound is coming from all around you. 'Object-based audio' is the foundation of Dolby Atmos. Each sound in a scene has information explaining where it should be placed in the speaker configuration, and Dolby claims to have married these two technologies together to create a virtual, enveloping surround-sound experience on a mobile platform. Not only limited to movie soundtracks, Dolby Atmos also increasingly has music in mind. Since the first Blu-ray Audio disc with Atmos arrived in late 2015, R.E.M. have released an Atmos mix of their seminal Automatic For The People album (and to good effect, too) and trance artist Matt Darey has specifically written his latest album for the surround technology. London's Ministry of Sound nightclub has even been kitted out with a 60-speaker, 22-channel Dolby Atmos system. DJs now have the tools to more literally raise the roof - they can make Atmos mixes and edit them in real-time so certain elements of a track move around the room. So where else do we want to see Atmos? Virtual reality is one area of interest for Dolby - the company has already designed content-creation tools to deliver Atmos soundtracks to a virtual experience – as in in-car (although Dolby hasn't divulged any specific plans to launch Atmos in the automotive world). Perhaps the biggest and most immediate area for expansion is more affordable hardware, though. More budget (to midrange) Atmos speaker solutions please, everybody.